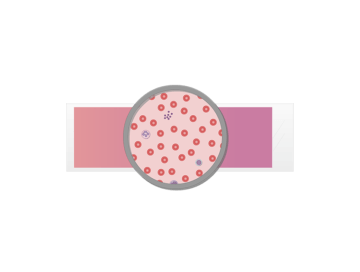 The formed elements are cells, cell remnants, and cell fragments in the blood. Red Blood Cells (RBCs or erythrocytes) make up more than 95% of the formed elements. 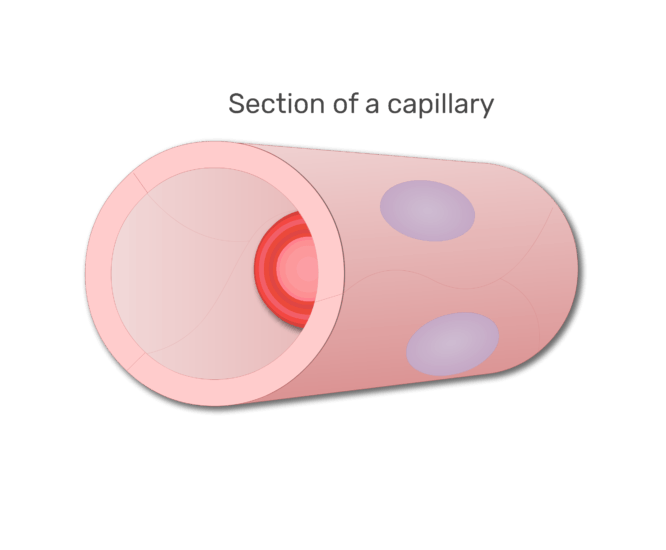 A red blood cell in a section of capillary. Because they lack a nucleus and organelles, most RBCs in the bloodstream are not fully functional cells. Instead, they serve as temporary, hemoglobin-filled containers that transport oxygen throughout the body. Also included in the formed elements are five types of white blood cells (WBCs or leukocytes). 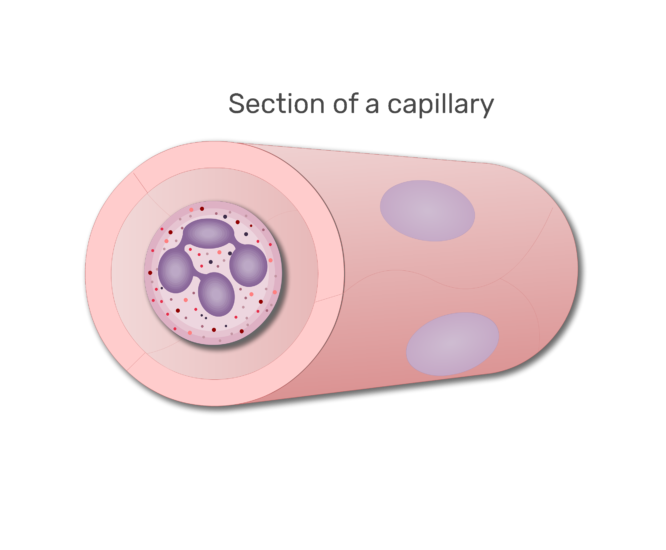 They are part of the immune system and that helps protect the body from foreign invaders. 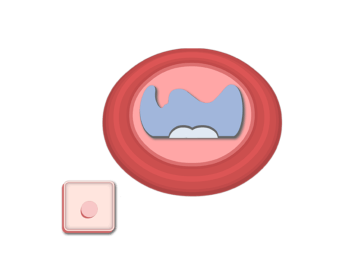 The WBCs are identified and classified based on their stained appearance. A neutrophil in a section of capillary. An eosinophils in a section of capillary. 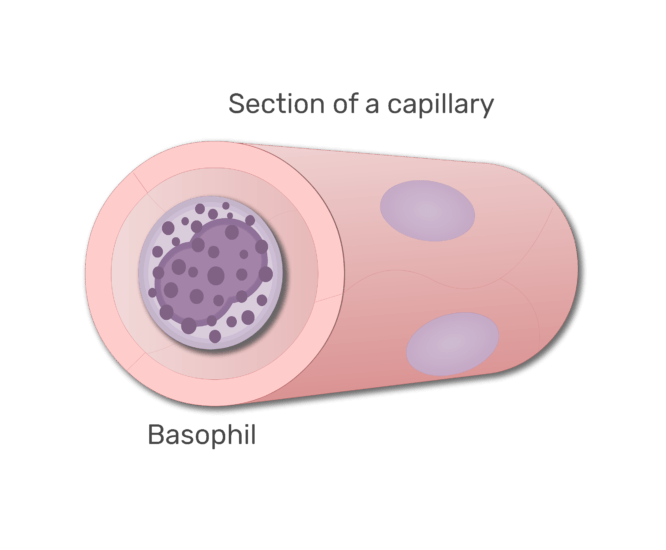 A basophil in a section of capillary. A lymphocyte in a section of capillary. 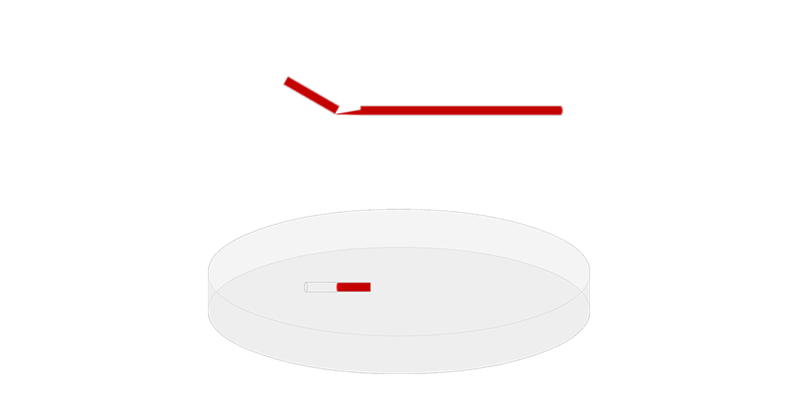 A monocyte in a section of capillary. 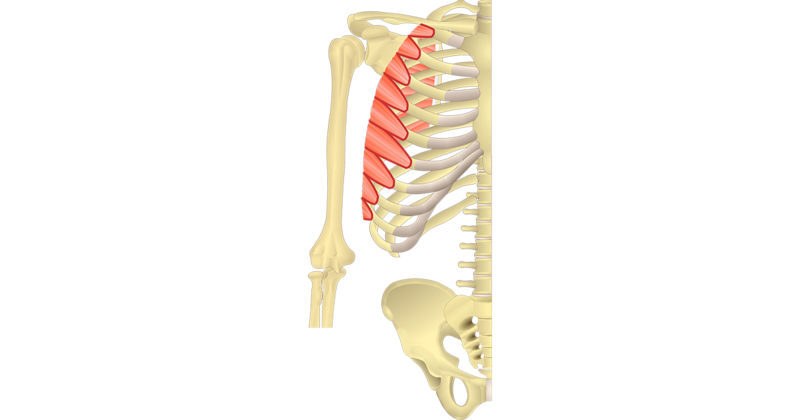 The smalled formed elements are called platelets (thrombocytes). These are actually cytoplasmic fragments that pinch from large cells called megakaryocytes. 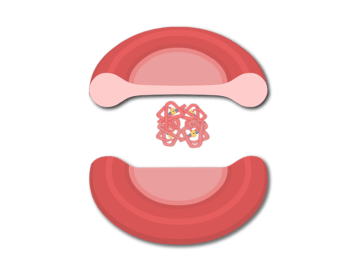 Phospholipids released from platelets help initiate the clotting process. Platelets in a section of capillary.